My friend Christine and I have an accidental tradition: we fly in late the night before the runDisney Expo opens, we stay up all night catching up and then we wake up a couple of hours later and wait in the Official Race Merchandise line. The funny thing is, we usually never buy more than 2 items each. We don't do it for the shopping, we're in it to have fun and enjoy ourselves. 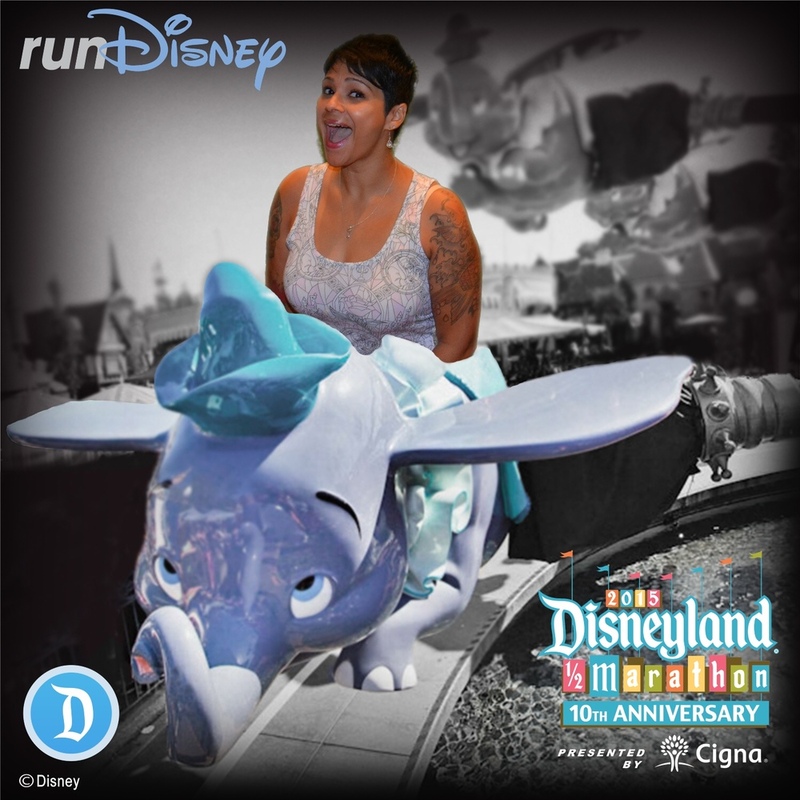 The Disneyland Half Marathon Weekend 2015 Expo was no exception! This year we grabbed pins and I think that's it. There wasn't any merchandise really screaming our names - except for those New Balance Tinker Bell shoes! Our return time was not until later in the afternoon, but we still took a second to go stare at them. As soon we were done with the official race merchandise area we headed downstairs to pick up our bibs and 10th Anniversary Party items. Along the way back up to the Expo floor, we stopped at the race weekend photo backdrop which was gorgeous this year! #Disneyland60 Diamond Celebration Bling Everywhere. Yes, please! Cigna also had a photo station, so we stopped there for a pre-race weekend photo as well. 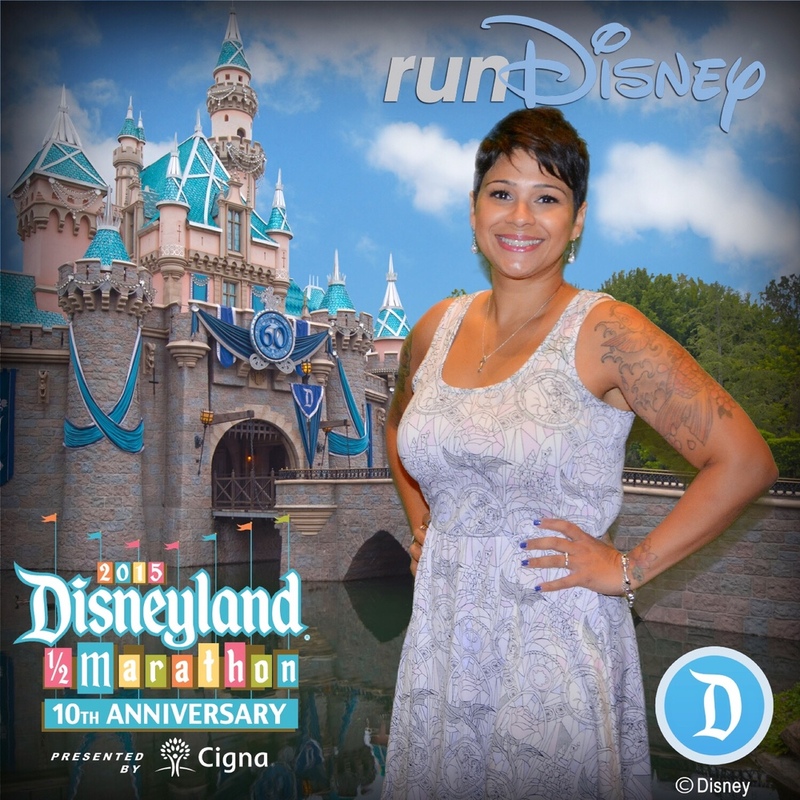 Once back on the Expo floor we visited a few of our favorite booths and stopped at the runDisney photo booth. This is the booth where you don't see the backdrop until you download the photo online. The awkward poses always make me look more ridiculous than usual. This Dumbo one is a keeper. After the Expo we headed over to Trader Sam's for lunch and hydration. The Hippopoto Mai-Tai always hits the spot. So good you can't just have one. As we hydrated, I heard from my friend Linzie who was hoping to pick up a pint glass at the Expo. 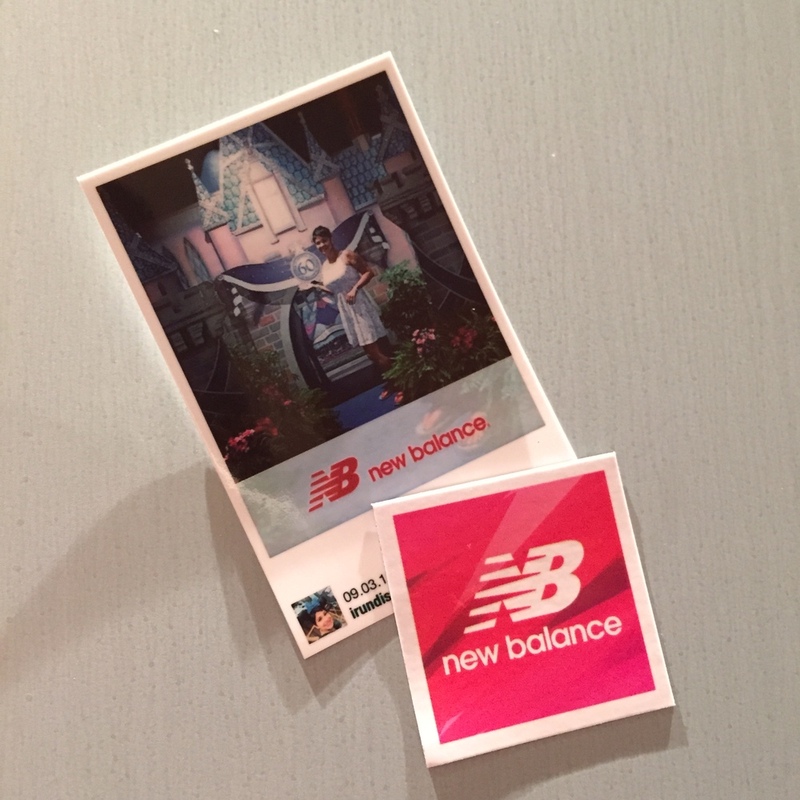 We told him to join us and before you knew it, we were back on the Expo floor taking all kinds of photos at the New Balance booth. Their mini Polaroid set-up was really cool. Great way to pass the time as we waited for our shoe pick-up appointment. When you're wearing your sunglasses at Expo, it's probably Trader Sam's fault. Great marketing. Really loved this Polaroid wall. Hey look - that's me! Once we paid for our Tinker Bell shoes we left the Expo. It was time to go back to our rooms. I wanted to relax and put away my new pins before dinner and the 10th Anniversary Party later that evening. Next up - the race recaps!